A new spot to score burgers has made its debut in the neighborhood. Five Guys recently opened a new location in San Jose, located at 434 N. Capitol Ave., Suite 438. Five Guys is a popular national chain that serves up customizable burgers, hot dogs, sodas and hand-spun shakes. Featured toppings on the menu include relish, grilled onions, barbecue sauce, A.1. Sauce and green peppers. The fries are cut fresh daily and can be topped with cajun seasoning. The new location has gotten off to a solid start thus far, earning a 3.5-star rating out of three reviews on Yelp. Yelper A B. said, "... my burger and fries were prepared as good, or maybe better, than any Five Guys location I've been to. The burger was perfectly cooked, and the fries were nice and hot." 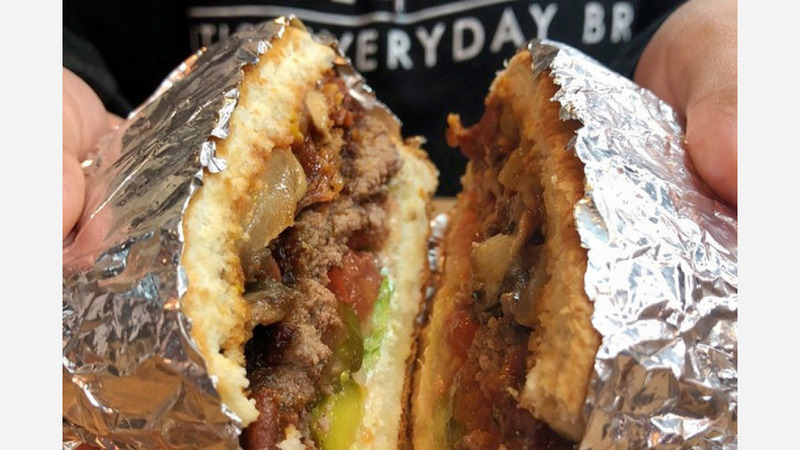 Yelper Jordi P. added, "I'd consider Five Guys to be a five-star fast-food restaurant. The food here is just as delicious as it is at any Five Guys location." Hungry? Stop by to welcome the new location to the neighborhood. Five Guys is open from 11 a.m.-10 p.m. daily.